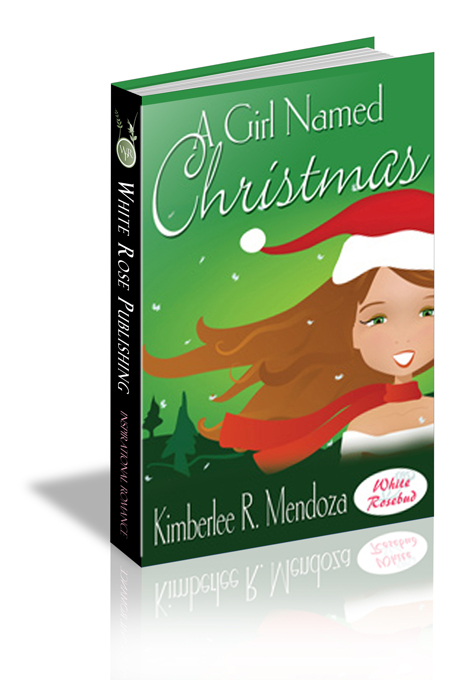 Christmas is dragging her feet to her fortieth birthday, dreading the realization that she will never marry. In a vain effort to feel better, she begins to reminisce about her youth. The year is 1955 in Ashabula, Ohio. Chris and her siblings are attractive young women forbidden to date until they are adults. When the gardener's son Elijah begins to pursue Chris, despite her stubborn heart, she falls hard. When her mother finds out, a tragedy occurs and Chris turns her back on the only man she would ever love. Is it too late for her? Or is it possible that her romantic journey is just beginning? Chris made her way down the carpeted steps, each board squeaking against her weight. There was a time when she was too skinny. Though she still would be considered thin by most, her hips were indeed rounder and her middle a bit fluffier. However, she was encouraged when the stairs squeaked under her feline’s soft paws, as well. The lower level of the cottage was dark and smelled of smoke and vanilla. A few embers still burned in the fireplace and smoke still lingered from a stick of incense lit earlier that evening. She touched her foot to the cold, wood floor and recoiled at its icy touch. Quickly, she darted across the room on tiptoes, anxious to rest her feet on the Indian rug. Overshooting her mark, she knocked her shin on the coffee table. “Ouch!” She fumbled for the lamp, flipped it on, and grabbed her leg. A small raspberry decorated the surface of her skin. Lovely. A chill floated through the house and she retrieved an afghan from the back of the couch and hugged it close. Her flannel nightgown did little against the winter chill caused by Lake Erie. It froze over weeks ago and the weigh of snow had caused all life to slumber. She wished she could do the same. Maybe then she could forget tomorrow and what the day meant. Big breath in. She swung her eyes from the TV on her left to the rocking chair, then to the unlit tree in the corner. A sigh escaped her lips. Why am I so down about Christmas this year? It was her birthday, after all. Yes, and my fortieth to be exact. She had lived through a deadly disease to see it. So, why am I not rejoicing? Thanking God I’m alive. The silence of the two-story cottage reminded her of her solitude. Forever the spinster living only with her matronly sister and a cat named Mike. She pushed her legs out along the couch and reached for the TV remote. Her hand grazed a package strategically placed in the middle of the oak table. She smiled. Her sister Martha loved to give. It was an amazing quality. May your next forty years be merry and bright. You mean the world to me. Thank you for sticking by my side all these years. May God grant your wishes this year. Chris dabbed at her eyes and lifted the corners of the paper. Inside laid a leather journal with her name pressed in the lower left corner. She fanned the pages, willing herself to be more grateful. Though the sentiment was there, the empty book mocked her. Just another place to write down my failures and reveal my lonely heart. “You used to be a writer. I thought maybe if you had something to write in, you might get back to it again.” Marty gave her a tight grin, her eyes revealing her constant worry. No use in making her stress more. “Thank you. I can’t wait to use it.” Chris offered a forced smile. Her sister nodded and sat on the edge of the rocking chair. Age had been kind to her. Her hair was still thick and red like it had been thirty years ago. Her brown eyes were full of life and though she’d had a rough life, her smile always remained present. “I think I’m going to stay up for a little while longer,” Chris said. She pursed her lips. “Um…I think I was fifteen. Right before...” Even at the thought of Elijah, her heart accelerated. She hadn’t seen him in about three decades, and yet, she could still remember the feelings he elicited in her. She sighed. “Well, don’t stay up too late. Okay?” Marty. Always the mother figure. She kissed Chris goodnight and walked back up the stairs. Chris stared at the tree. Ornaments from their childhood filled every branch. The clay candy cane she’d made in second grade. The glass Santa she’d made in fifth. The dove Mom bought at the fair. The… Wait. What is that doing there? She stood and walked to the tree. A silver cross hung right in front. She fingered the sprayed wood carving and lifted it from its perch. The meaning behind the token hurt even now. Marty, please don’t try to help me. I hid this for a reason. Holding it tight in a cupped hand, she returned to the sofa. Her coffee table had a door that opened on the side. She pulled the handle and stuffed the cross inside on top of an array of books. She flopped back on the couch and turned on the TV. The ambient noise crashed in the silent house like a tidal wave. She snapped it back off and shifted to the other arm of the chair. Her gaze drifted to the door that held her treasure. Fine. She reached in and lifted the ornament. As she stared at it dangling in front of her face, tears filled her eyes. Tomorrow, I turn forty. All the happiness I felt as a youth washes away with the realization I will never marry. I will always be as I am today but I was happy once. Wasn’t I? Thoughts of her childhood seeped out into her mind, pouring through the cobwebs of denial. She lay against the pillow, remembering when her heart felt more.